Home / Social Policy / A Common Past to Build a Common Future? Paris hosted some 70 world Heads of State and Government on the 11th of November for a ceremony to commemorate the signing of the Armistice that ended World War I in 1918. The world leaders, including the President of the EU Commission Jean Claude Juncker and the President of United State and Russia, Donald Trump and Vladimir Putin, paid tribute to the millions of soldiers who died during the war. «Patriotism is the exact opposite of nationalism. Nationalism is its betrayal» the French President Emmanuel Macron said. «A hundred years ago we were unable to produce a lasting peace, because France and Germany remained divided» Macron added on Sunday thus highlighting that the EU project succeded in bringing lasting peace in the continent. «Isolationism didn’t work a hundred years ago, how could it work in today’s interconnected world?» asked German Chancellor Angela Merkel in Paris. Despite much rhetoric, the EU has to face many concrete challenges, starting from nationalism and populism. 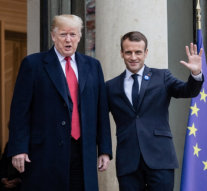 A kind of nationalistic approach was represented in Paris even by US President Donald Trump: although in Paris the world leaders were all united to remember the common pas, president Trump began his visit in Paris with an extraordinary attack on Macron’s call for a “European army”. He stressed the need for EU countries to give more funds to Nato expenses. «Emmanuel Macron suggests building its own army to protect Europe against the U.S., China and Russia. But it was Germany in World Wars One & Two – How did that work out for France? They were starting to learn German in Paris before the U.S. came along. Pay for Nato or not!» tweeted Trump, who has frequently criticised the level of Europe contributions to Nato, saying these had always been “ridiculously unfair” to the US. The issue of a European Army highlighted once more the need to move forward in the EU, starting from the commemorative event in Paris to give concrete answers to the European citizens. French President Macron himself has framed the European Parliament election in May 2019 as a battle between populists and pro-European progressives like himself, rather than between the traditional right and left. 2019 is shaping up to be an extraordinary year for the European Union. A few months after the United Kingdom leaves the union in March, the bloc will elect a new European Parliament. That election will be followed by the selection of a new European Commission and new Presidents of the European Central Bank and the European Council. These changes will generate a new political order. The times ahead will be decisive for the future of the Union, that should first of all demonstrate the ability to provide answers to the biggest challenges the society is facing. The parliamentary elections will also influence the appointment of the next president of the European Commission. The appointment is made through the process known as “Spitzenkandidat” or lead candidate. The EPP has chosen Manfred Weber, a member of the Germany’s Christian Social Union, and the S&D has selected the EU Commission Vice President Frans Timmermans. The third option could be a candidate endorsed by the Alliance of Liberals and Democrats for Europe (ALDE), such as Margrethe Vestager, the EU competition commissioner. All these politicians are called to address, together with their team and the EU Parliament, the many challenge Europe is facing. The fight against populism will be decided not just on rhetoric and words but on concrete issue, starting from the need to create jobs and perspectives for young european citizens. « Previous Article SWAFS Call for Proposals Will Be Published Soon!